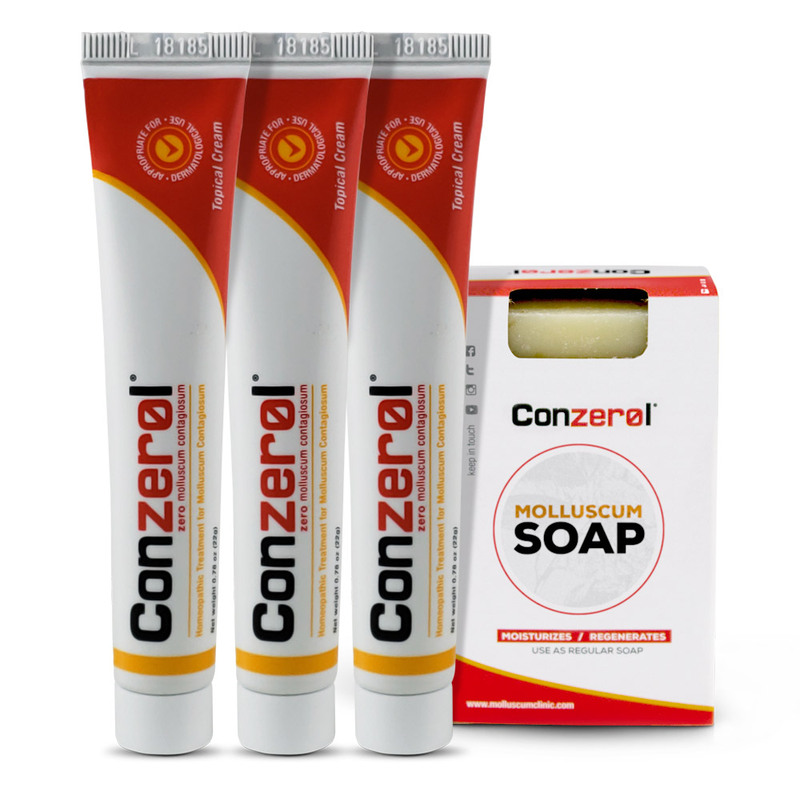 Three tubes of Conzerol cream paired with one bar of Conzerol soap to aid in the spreading of Molluscum. Recommended. *Individual results and outcomes may vary, regarding all displayed images and testimonies on this website and affiliates. We do not claim that testimonies or images on this websites or other websites are representatives or typical of all results of all those who use our products. Products, testimonies and images mentioned or shown on this website are not intended to diagnose any disease and do not replace certified medical advice. Treatment advise or care of an individual patient should be obtained through consultation with a licensed physician or trained health care provider who has personally examined that patient and is familiar with that patient's medical history.The statements, testimonies and photos on this website, and all affiliates, have not been evaluated by the FDA. 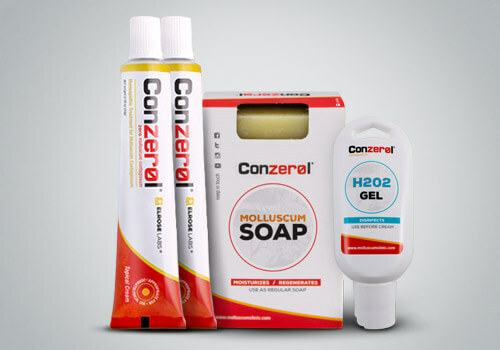 Conzerol® is compliant with all FDA regulations and is registered with FDA # 70223-001-06 . 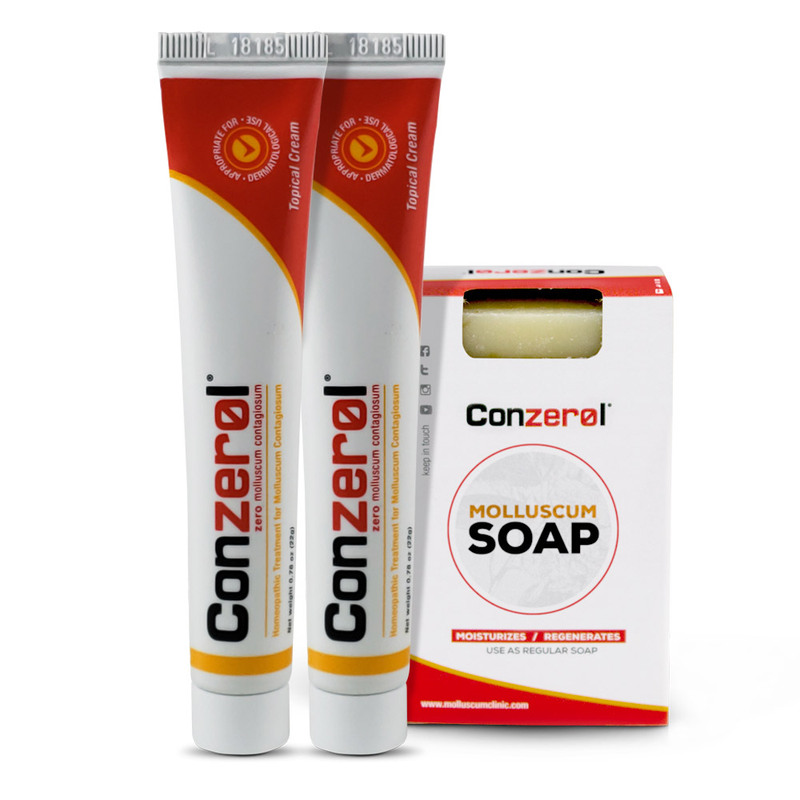 ** Guarantee Policy: We provide a 60-day money back guarantee for purchases of Conzerol® cream; if, for any reason your are not satisfied with the product Conzerol®, you will be issued a refund within one week of your request. 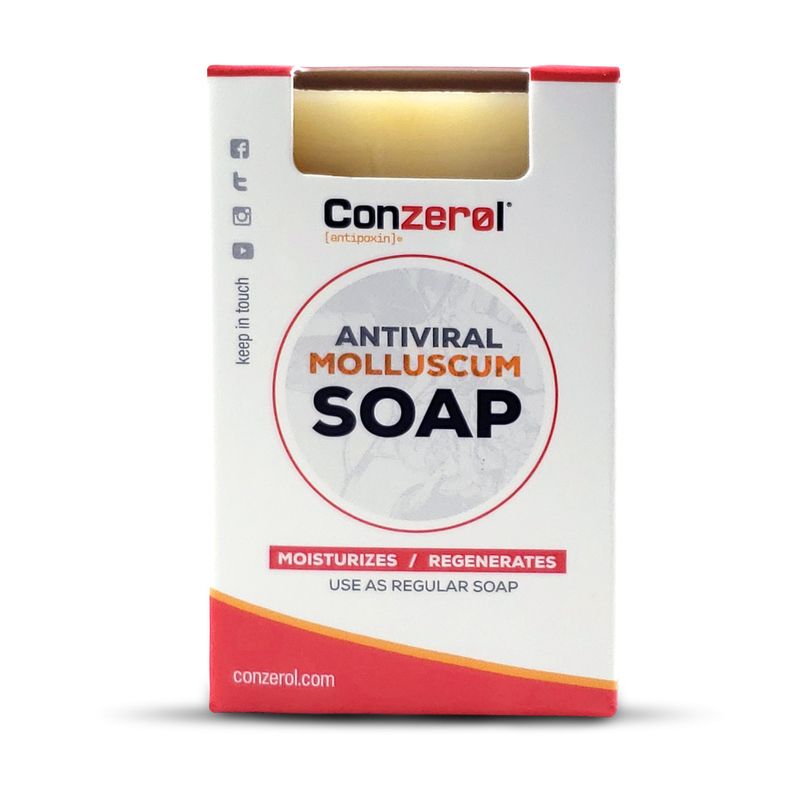 This refund does not include handling & shipping expenses, soaps, H202 Gel, and/or probiotics. International buyers are solely responsible to know and abide by the customs laws, taxes and regulations in their own country as concerning shipping delays, holds, customs fees or rejections. If you have any questions or concerns regarding the effectiveness of Conzerol® or specific recommendations for your situation, please contact us with your questions.